Traveling by train is a time-tested method to enjoy seeing parts of countries we may not otherwise experience. Whether commuting or taking a long-distance journey, architecture, history, and artful aesthetics can make that wait for the next train pass in no time at all. 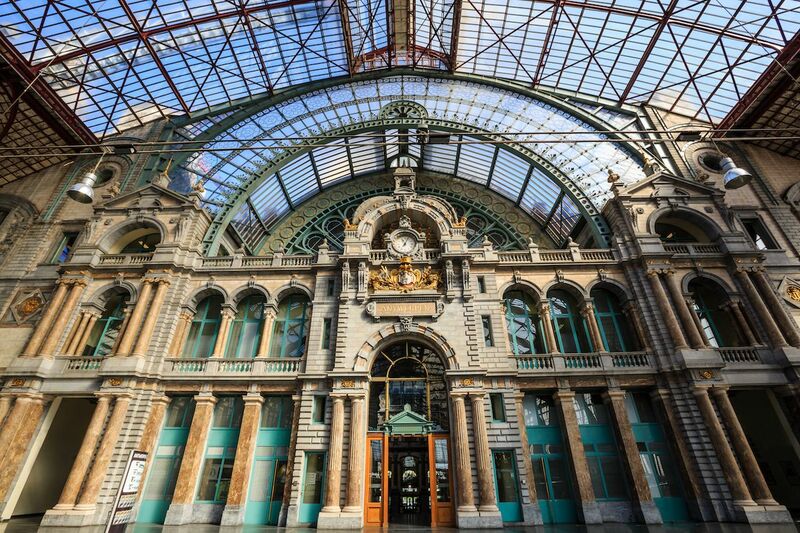 Here are some of the most beautiful, inside and out, train stations around the world. The first train pulled into the station in São Bento in 1896. 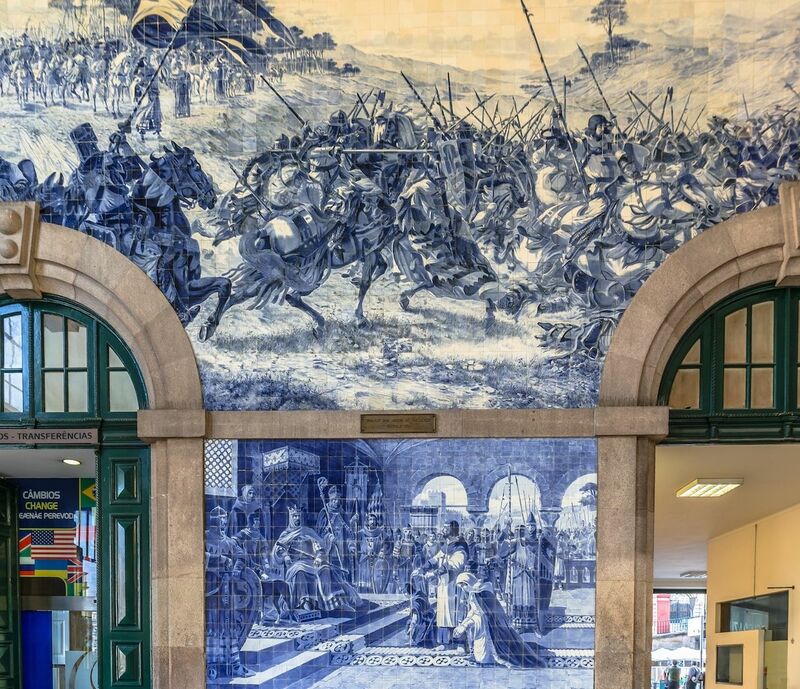 Architect Marques da Silva drew inspiration from Parisian architecture for its exterior and, inside, artist Jorge Colaço spent 14 years crafting a massive azulejo tile mural. Even those in a hurry slow down to gaze upon its 20,000 hand-painted, tin-glazed, blue and white tiles. This is a busy destination for trains heading to the suburbs of Porto, as well as to and from Portugal’s capital city of Lisbon. Officially noted by the media as one of the world’s most beautiful railway station, this stone-clad terminal was originally constructed between 1895-1905. 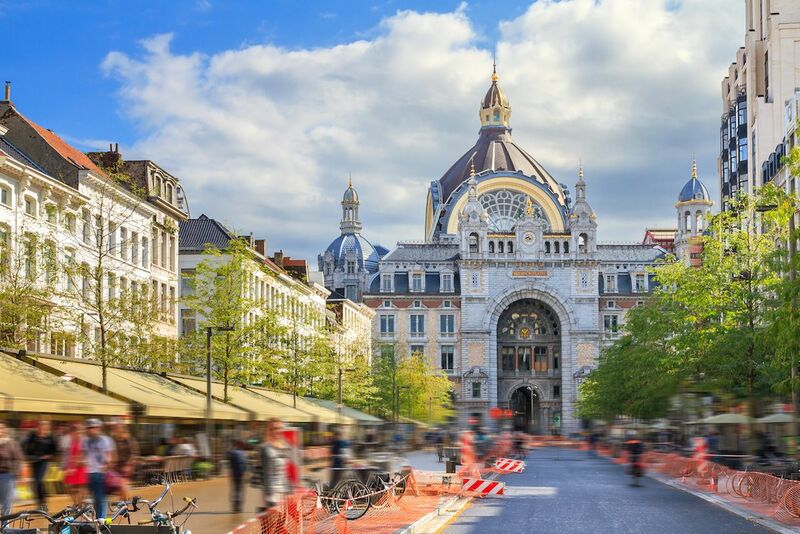 Designer Louis Delacenserie designed the building using over 20 types of marble and stone. The impressive multi-level glass and iron vaulted ceiling survived the V-2 bombs of World War II. Delacenserie definitely used his imagination in the creation of this space: it can be assigned no particular architectural style other than just being simply stunning. The world’s largest train station welcomes travelers beneath the ticking face of the world’s largest Tiffany clock. Over the rush of the workday crowds, an aquamarine ceiling bends with six gold-leafed signs of the zodiac, famously painted in reverse order. 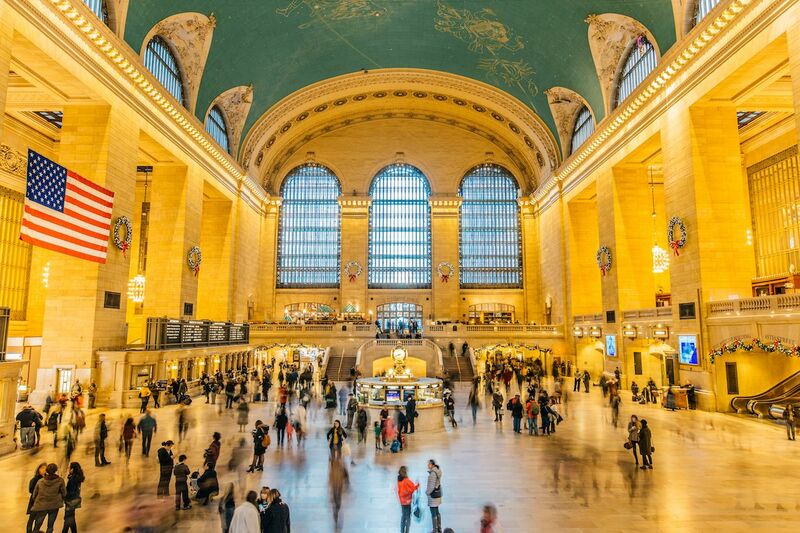 Built by Cornelius Vanderbilt in 1871, customers can still purchase tickets through the original gold barred ticket windows and entertain themselves during layovers with whispering galleries, secret bars, and a stop at its ever-popular Oyster Bar. 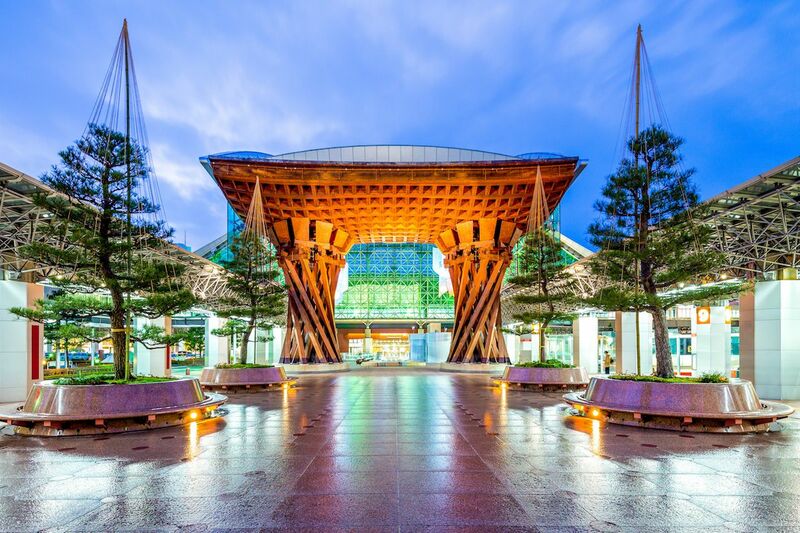 This station’s most striking feature is the lush greenery of the tropical garden growing in its main concourse. 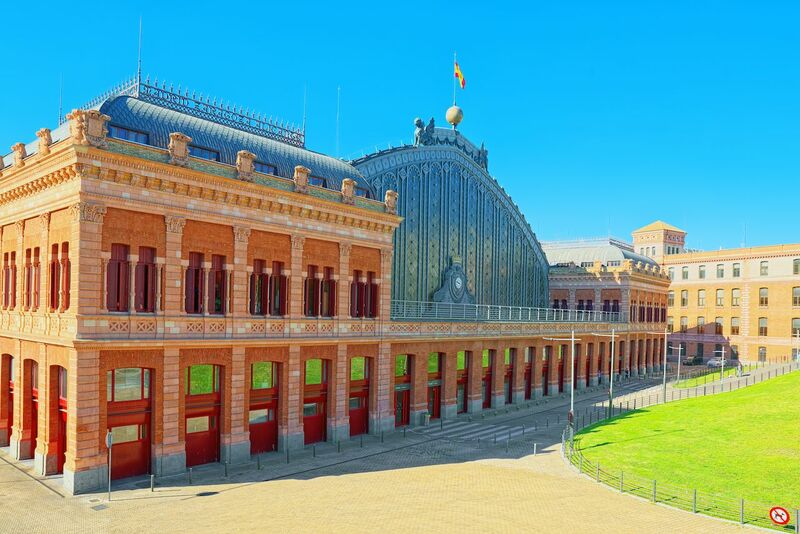 It was Madrid‘s first and largest train station when built in 1851, but a 1992 fire forced the building of a more modern structure adjacent to the historical one. 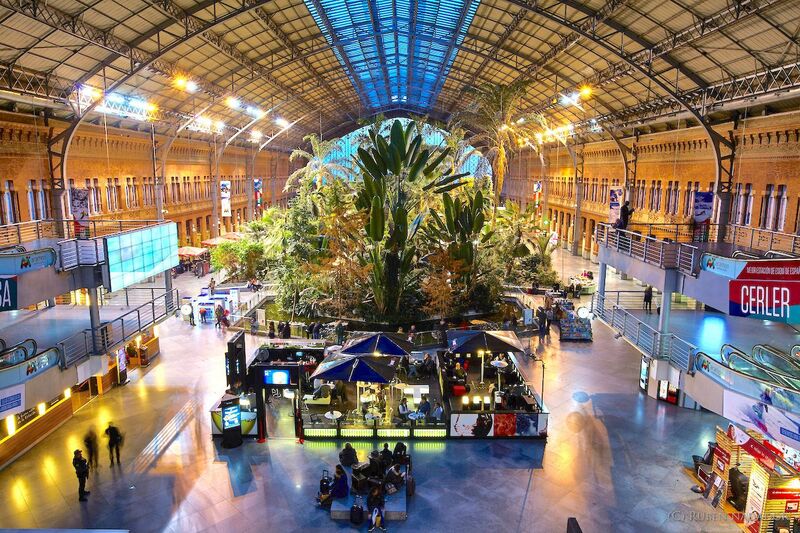 Though trains now leave from the new building, the original Atocha station structure is alive with shops, cafes, and even a nightclub. The imposing Victorian structure has a red-brick, Gothic facade that is unyielding. 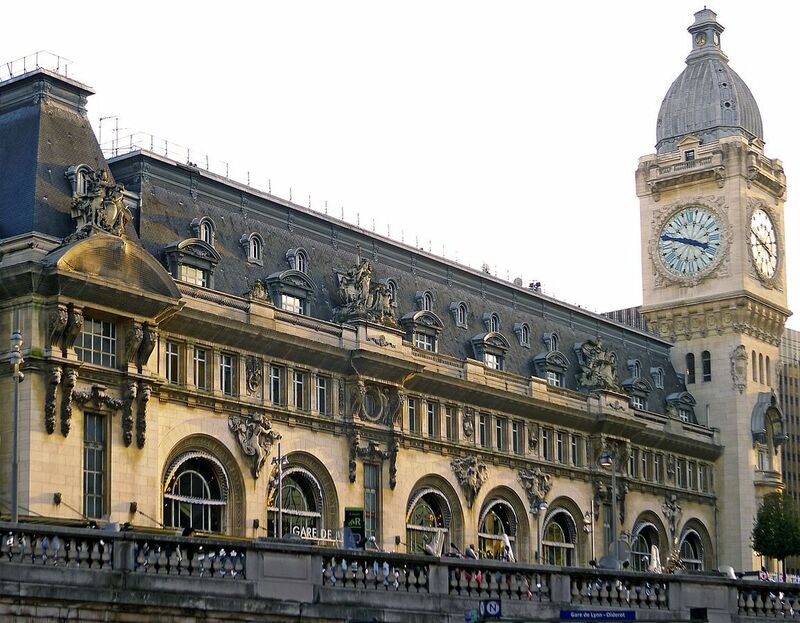 But the station softens inside, where one can grab a seat at Europe’s longest champagne bar. The massive station took 20 years to build and, upon its completion in 1868, it was for some time the largest enclosed space in the world. Seemingly untouched by the battering of bombs in World War II, St. Pancras is a gateway to Britain’s National Rail network. 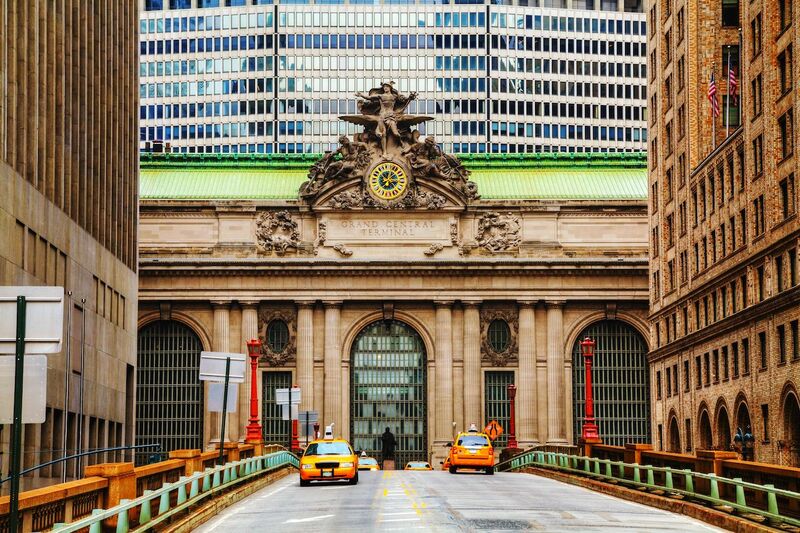 Commissioned for the 1900 World Exposition, this station is an exemplary standard of period architecture with fine Beaux-Arts details. 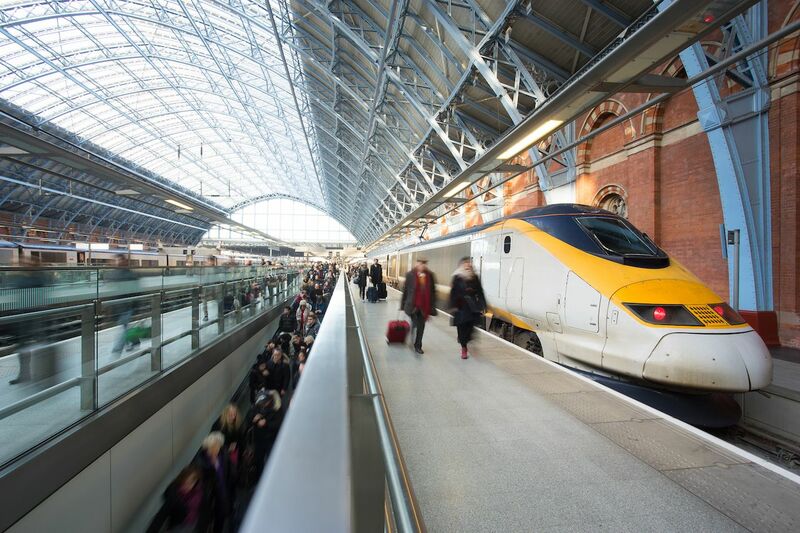 Trains head to destinations in the south of France, as well as Switzerland, Italy, Spain, and Germany. Over the decades, its famous clock tower has overseen the regular comings and goings of millions, including Jean Cocteau, Salvador Dali, and Brigitte Bardot. 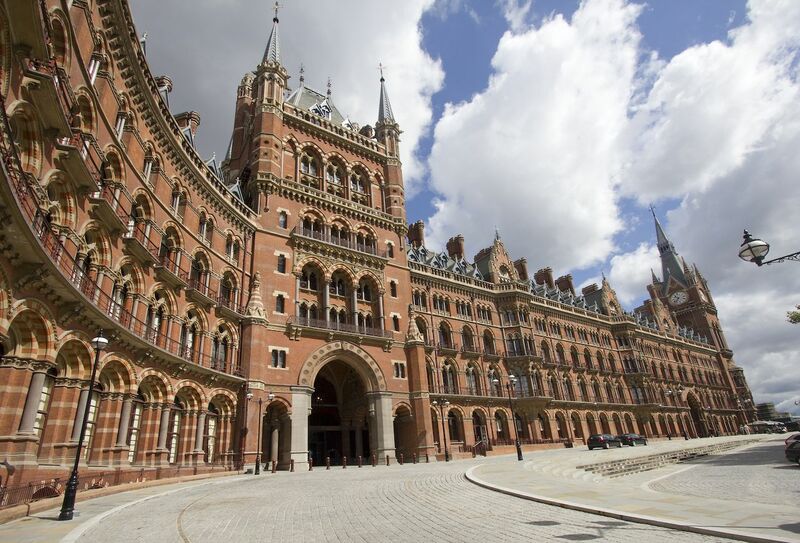 Built to honor Queen Victoria, construction of this massive station was completed in 1888. 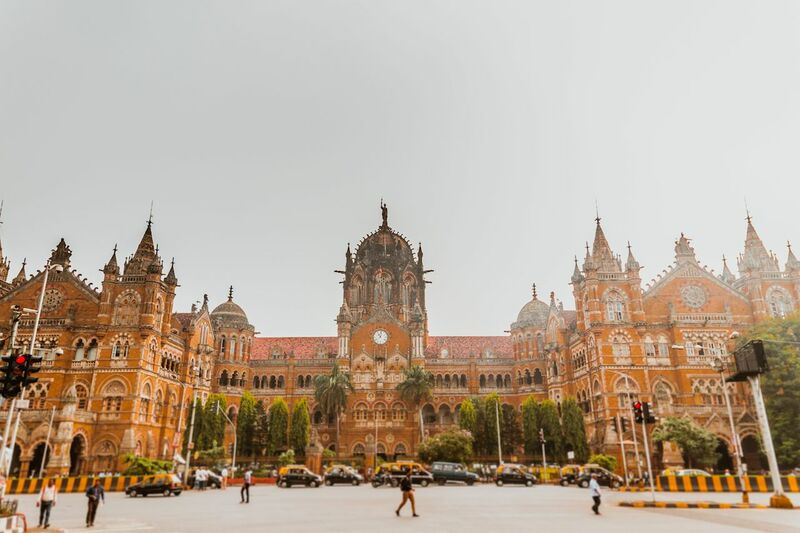 A fusion of Western and Eastern styles, the palace-like exterior served as a symbol of Bombay’s prestige within the British Empire and has earned it a spot on the list of UNESCO World Heritage Sites. The terminal now connects Mumbai and its suburbs with an impressive 3 million commuters passing through it each day. Architect George Troup became known as “Gingerbread George” after the completion of this ornate, Flemish Renaissance-style station in 1906. 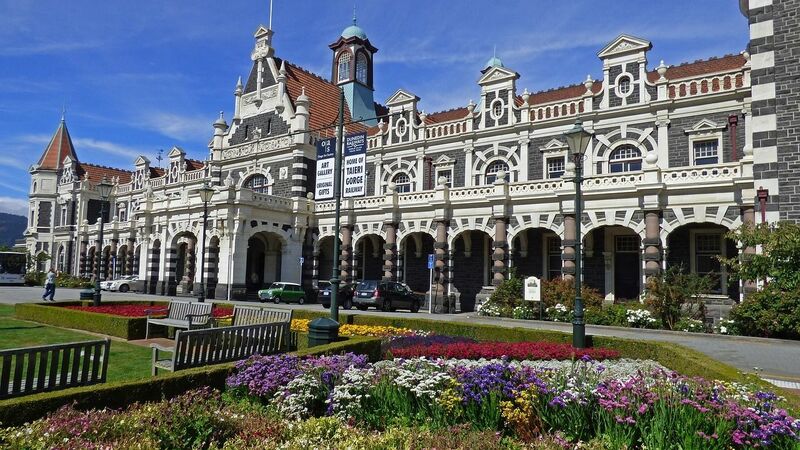 Constructed of basalt from the small town of Kokonga and white Oamaru stone, it has become a regular stop for tourists looking for photo opportunities and a jump-off point for scenic trips on the local Dunedin line. Originally opened in 1898, this station became internationally known when the modern tsuzumi (drum) entrance to the station was unveiled in 2005. A dome of aluminum and glass shelters travelers from the weather while also filtering light into the shops and restaurants inside. The introduction of such large-scale modern architecture to this traditional town was not particularly well-received at the time but has since attracted its fair share of admirers. Originally built in 1862, this station proved to be too small for its needs, so in 1904, a contest was opened for a new design. Of the 21 entries, a design of National Romanticism was chosen, sparking a debate over public building design, many calling for a more modern, practical look. Luckily, the winning architect, Eliel Saarinen, was happy to oblige. 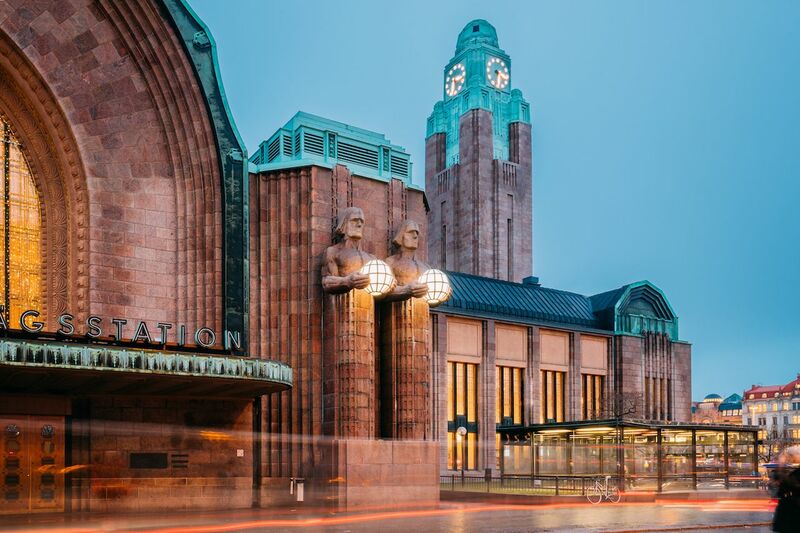 Clad mostly in Finnish granite, this station opened in 1919 and is emblematic of Saarinen’s signature Art Nouveau style. Four massive sentry statues holding spherical lights oversee coming and goings of hundreds of thousands of commuters each day. 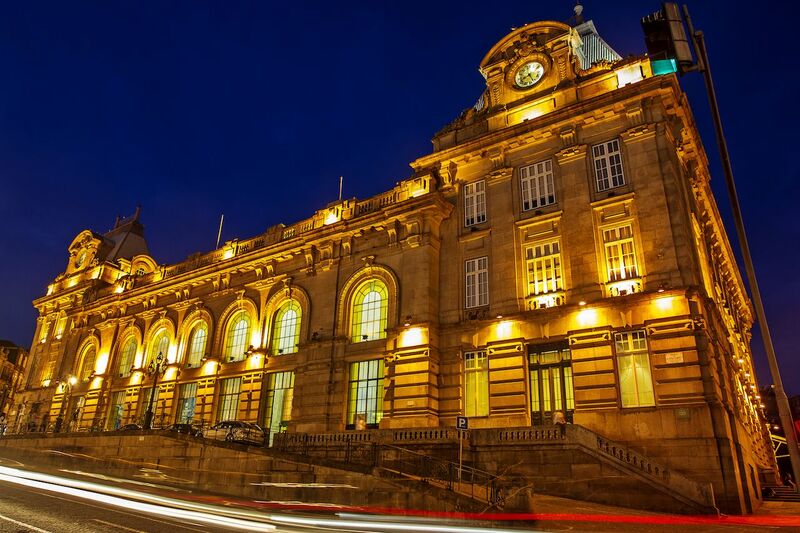 Just outside of Brussels lies Liège, Belgium‘s third-largest city, and its gateway for high-speed trains across Europe. 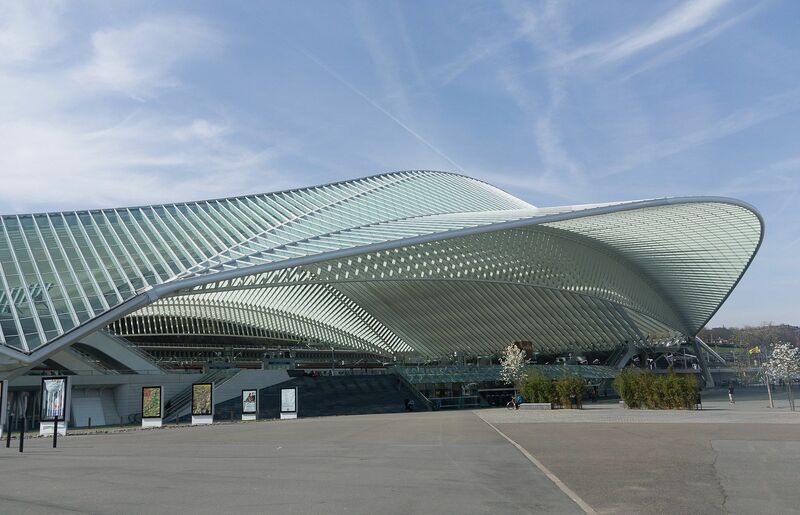 The first railway station of Liège-Guillemins was inaugurated in May 1842 but this most current inception was introduced in 2009. The design of glass, steel, and white concrete by Santiago Calatrava has earned accolades in contemporary architecture, and the light that permeates the structure makes a long, commute much kinder.